Exporter of a wide range of products which include phe gasket for beverage plant. 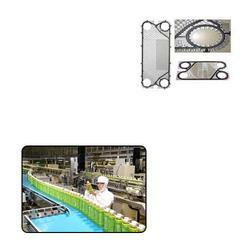 Our PHE Gasket for Beverage Plant are manufactured by utilizing advance technology. These gaskets are also used in power plants, breweries & distilleries, dairy & beverages and many industries. Looking for PHE Gasket for Beverage Plant ?